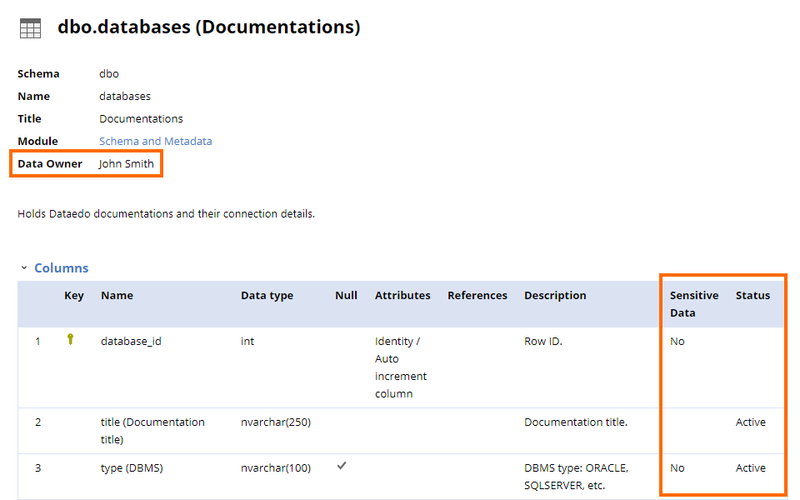 Custom fields are additional, user-defined metadata fields that can be attached to various data structure and documentation elements like tables, columns etc. Custom field is a simple plain text field that you can add to better describe objects in your documentation. They are defined on repository level, so a custom field in a given repository will apply to all of its documentations. To define custom fields click Custom fields button in the ribbon. This opens custom field administration panel where you can view and edit the list of custom fields defined in the repository. To add a field click Add button or choose predefined field (see below). Once you click Add, a form with field definition will show. Provide a unique name of the field, field scope and an optional description for future reference. Confirm with OK and once you defined all the fields save changes with Save button. 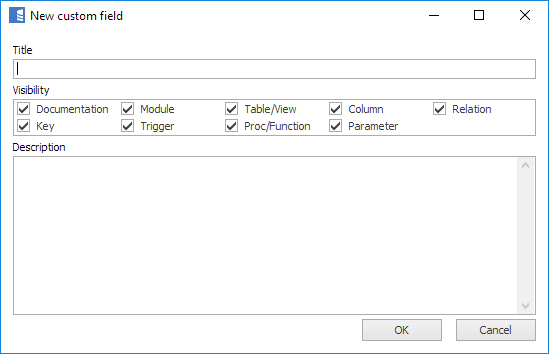 Field scope defines which data element the field will be added to. Removing a field removes all data from it permanently. To remove a field, select it and click Remove button. Then, click the Save button to confirm the change. You can change default field order using Move up and Move down buttons. It will impact display order in application and exports. After you define custom fields you will notice that additional text fields will show up next to relevant objects. 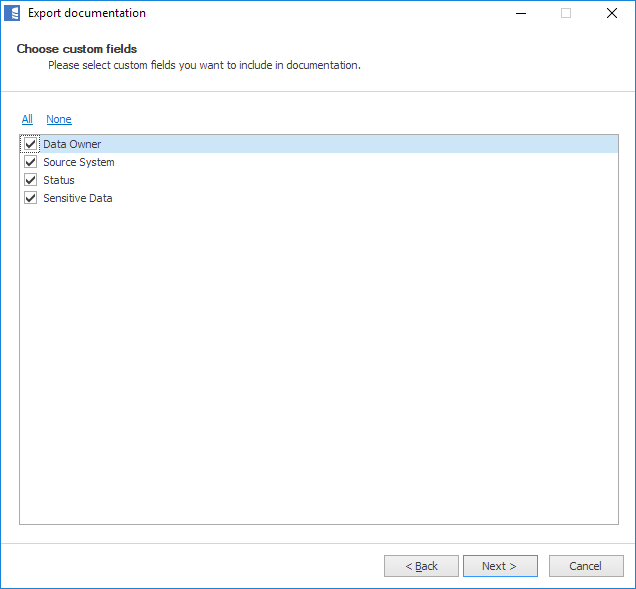 In exported files, the custom field data are usually only visible when they are filled. You can find out more about this in Dataedo repository documentation. 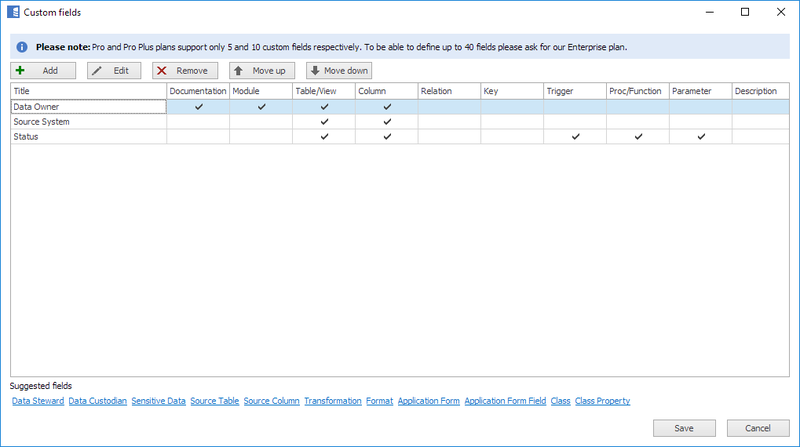 Dataedo lets you import and export custom fields to and from SQL Server extended properties.